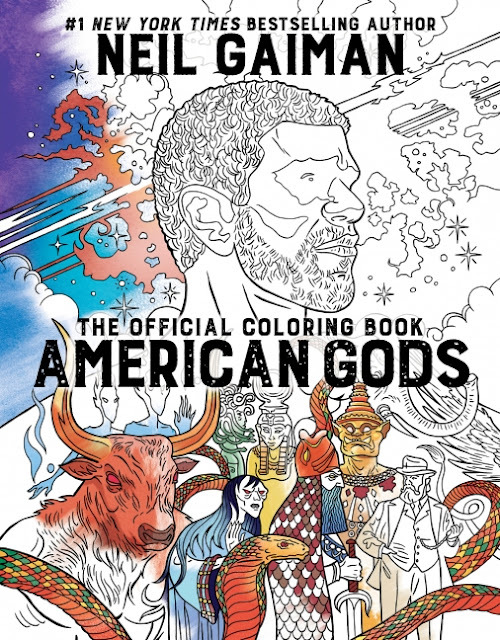 Coming at the end of April - Neil Gaiman's "American Gods" coloring book! Imagine how many pleasant rainy afternoons one could spend enjoying coloring scenes from this fantasy/mythology masterpiece of a novel! Or perhaps you'll enjoy coloring these pages while watching the Starz "American Gods" series..
You can discuss the coloring book with other fans over on Goodreads, too.